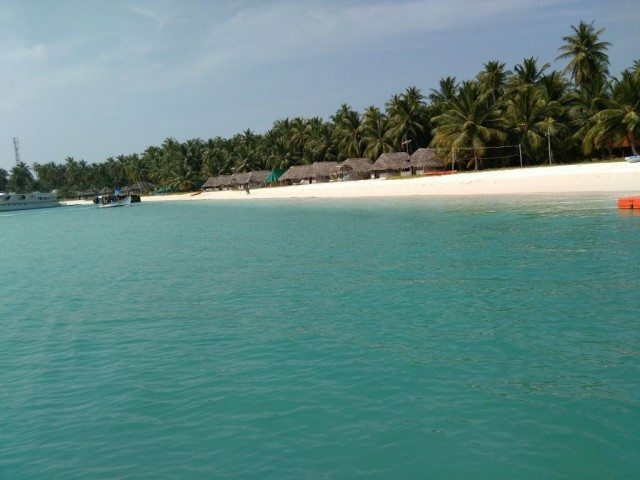 India's Maldives - Bangaram and Thinakara Islands, Lakshadweep - Ghumakkar - Inspiring travel experiences. After spending a splendid day at Agatti Island, we decided to cover Bangaram and Thinakara Islands for the next day tour. Distance is about 2 hours boat ride from Agatti, but we were instructed to return back before sun set as the sea is unpredictable and unsafe post sunset. We booked a small motor boat, and boarded from the last jetty (a small platform on the sea shore meant for boats/ships movement) of the island around 9 AM. There were two people on the boat from crew apart from our family. First we crossed the lagoon area, where the water was still and clear; we could see almost everything beneath us. Soon after we entered in the deep blue sea, which appears to be little scary as sea was not very calm that day and we were not wearing life jackets (tough jackets were kept in the boat). 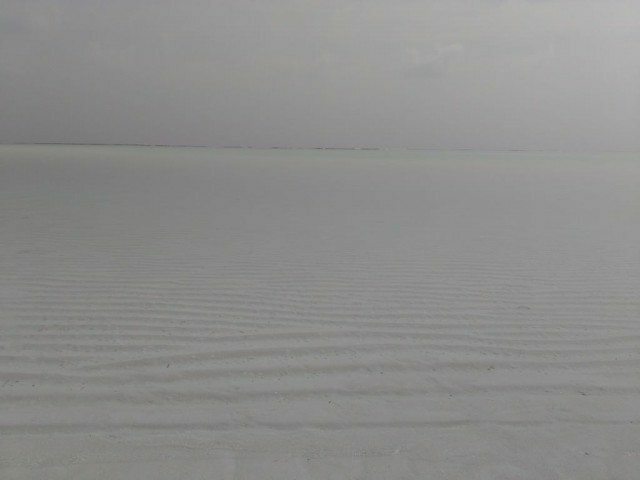 Agatti Island was disappeared from eyes soon and Bangaram is still yet to come, all we could see was blue water all around. The total journey was nothing short of thrilling roller coaster ride. After being in the sea like this for an hour or so, we again entered the lagoon area. And there was something visible from far, is that land? Yes, it is an island, the Bangaram Island, finally!! yippiee!!! Both Bagaram and Thinakara are inhabited islands and situated very nearby in the same lagoon. SPORTS has set up tourist huts and water sports activities at both the islands. We landed at Bagaram Island and ordered for sweet lime soda to refresh ourselves. 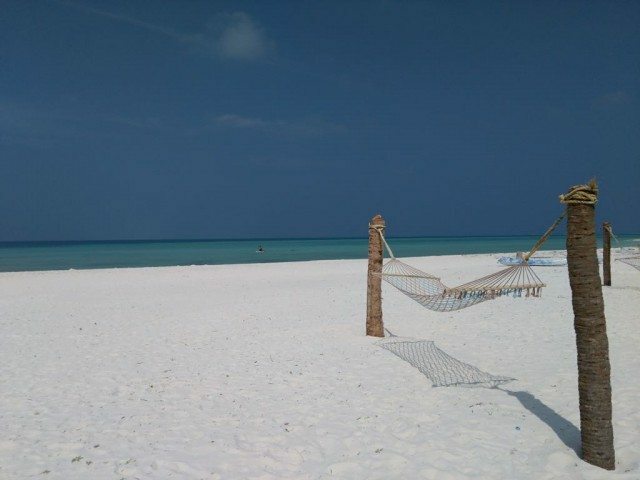 The view at Bangaram Island is just overwhelming. 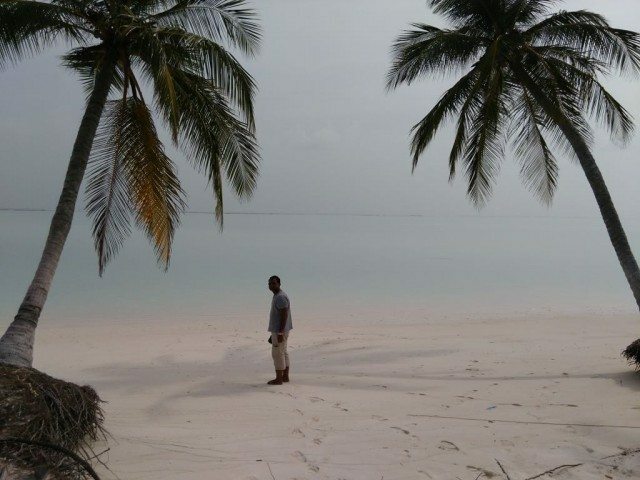 Since this is the only island open for foreign tourist and liquor is also allowed, we found some tourists here (otherwise it is rare to find tourists in good quantity across Lakshadweep). We have been told, Thinakara is better than Bangaram in terms of tranquility, so without wasting any more time we headed straight to Thinakara which is just five minutes away. Whatever we heard about this place was absolutely correct. 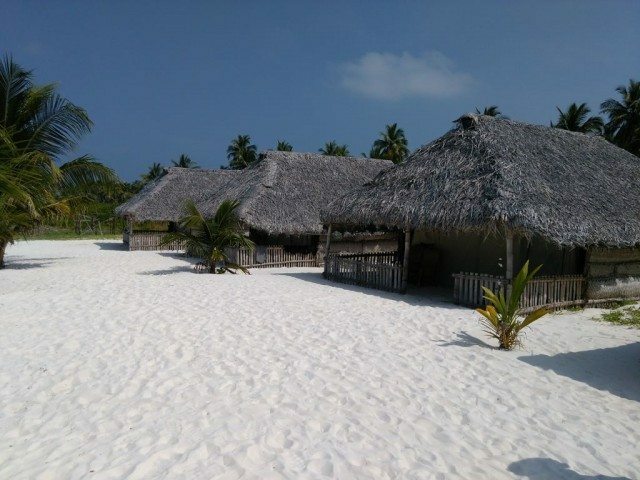 Long white sand beaches, clear shallow sea, calm water, nice tents, water sports and what not. We changed the clothes and headed to the sea right away. We all had good sea bath. Water was up to knee level only. I was carrying sand toys, so we played for hours along with my 3 years old daughter. It was very relaxing experience in the lap of nature. Thinakara also offers variety of water sports. 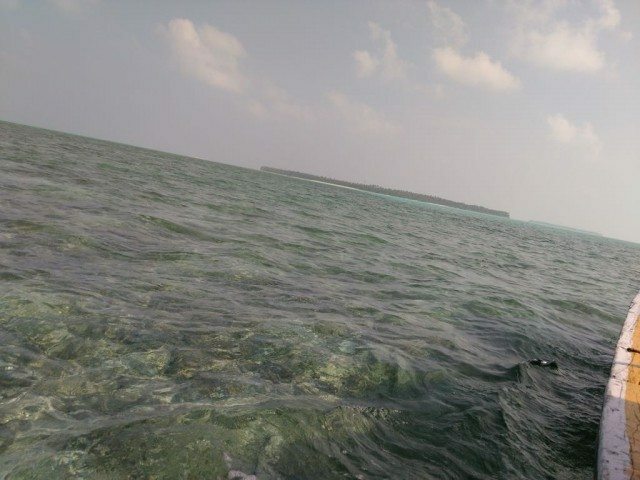 Since, we kept snorkeling for Kavaratti, I tried my hands on water skiing here. In this sport, they will make u sit on a floating board in knee bending posture. That board is attached with a motor boat through a long rope. Once all set, the boat will start taking leap around the island, and you and along with your board also moves in high speed, splashing water everywhere. It was amazing experience, just the way I saw in James bond movies. Balancing on the board is the key to enjoy this sport; I thankfully managed to be on the board all the time, rather than into water and dragging along with the boat. There was a fallen submerged coconut tree near beach, when I m done with skiing, I just went to sit on it for some time. There I found many tiny fishes and crabs swimming around my feet. My daughter tried to catch the fishes, but all in vain. I made a video and clicked some picture of these creatures and came back to our tent. After some good hours, we decided to take fresh water bath, have lunch and explore the island, as the time to return back is approaching. Since this an inhabitant island, everything including cooked food to drinking water is bought through boats from other islands. Our Swiss tents were fully equipped with electricity, fully functional bathroom and basic furniture. After lunch, parents and daughter took a quick afternoon nap, and I and husband went inside the island to explore. The island which was looking so beautiful from the shore was appeared to be a hunted place when we went inside. We wondered how come the same land looks so different when nobody stays there. It was just the coconut trees and weird looking plants all around. We hurriedly came out and went towards the other beach area of the island without going inside any further. There we found another strikingly beautiful beach. The water was see-through clear and at complete calm. 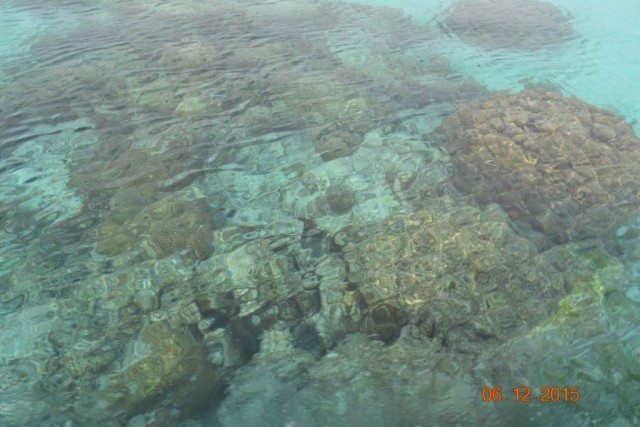 In the second picture below, you can see the water was so clear that it was not visible at first glance. This can mistakenly be called as a desert picture, if we do not look at it closely. It was a heavenly place. 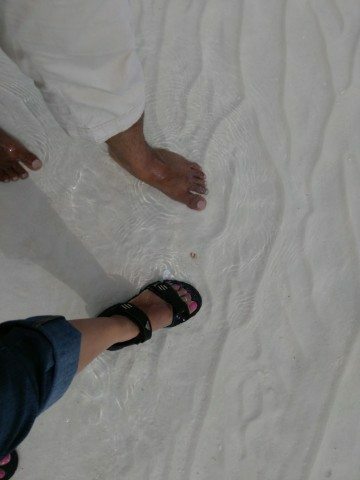 We also met a small sea cucumber (a cucumber like sea creature) here, who was stuck in the dry sand. The water was very calm at this beach so practically waves are not helping it to return home. We just pulled it, went ahead and put it into the sea. It felt good, but I am still not sure, whether I saved that tiny life or I disturbed the poor soul’s lazy sun bath on the beach. Our boatmen already told us twice to return, so there was no way we could stay here any longer. We packed our bags and started the return journey to Agatti. 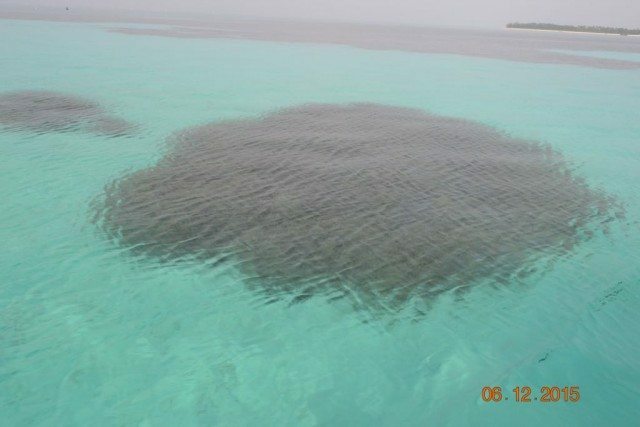 This time our boat took a different route, which had massive coral reefs and atoll on the way. The color differentiation you see below is due to existence of corals under the water. 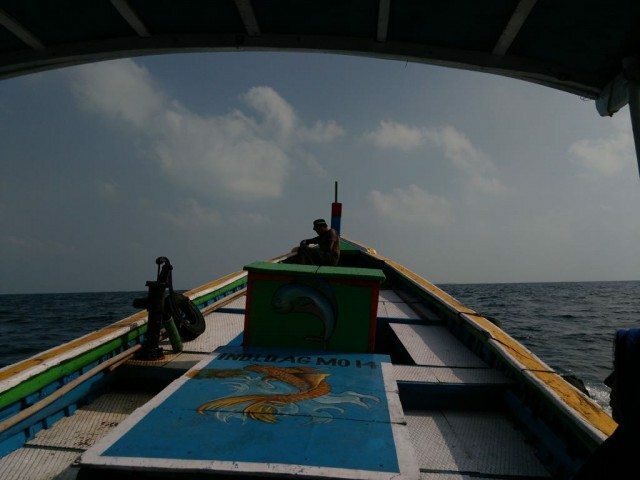 The journey was beautiful and we saw huge (few as big as mountains) coral reefs and various sea creatures. Our boatman put a hook inside the water to catch some fishes, and successfully caught few for his dinner. The return journey was very pleasant unlike the morning one. We returned to Agatti, before the sunset, as we planned. Our two days stay in Agatti ended here and we headed to Kavaratti next morning. Finance professional, work for PSU and love to travel. Juggling between work and home, but somehow manage to steal time for travelling. A good report with lively photos fascinated me. Please keep up writing. Every pic meant to be craving for more. There are many more interesting pictures of this beautiful place, which I could add to the post due to technical reasons. Yet another wonderful post.. Water is crystal clear and the coral reefs are so inviting. Am sure there would have been scuba diving and/or snorkeling there. Did you try it? 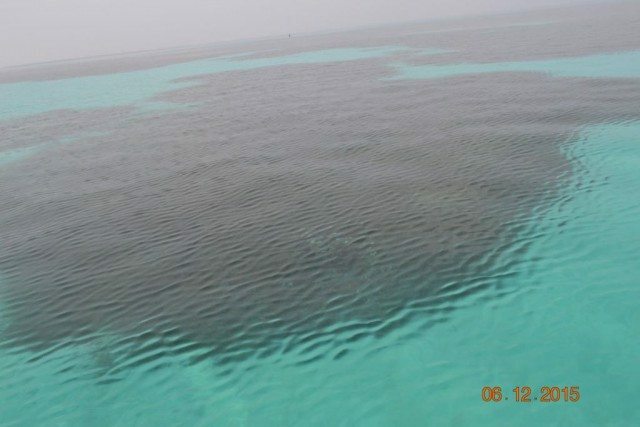 Each of the post in this series is making Lakshadweep more and more “must visit” place on my long list!! Yes, Scuba and Snorkeling both are available on these islands, but we have been told that Kavaratti offers terrific beauty under water, so we opted to do Snorkeling there. It is covered in the next part of this series. Sometimes I think that we should rather not be publishing these posts so that the place remains as quaint and virgin, as what I see in the pictures. Thank you Rachna for taking us around. I have always been fascinated by lofty mountains & rivers. 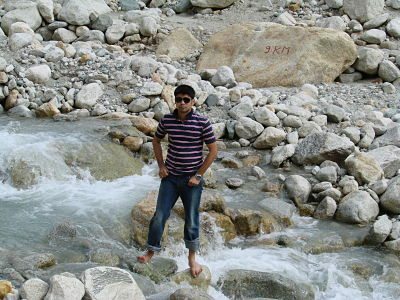 But no sooner than this summer, my fascination rose to the level of determination to visit “GOMUKH” – the so called origin of river Ganga, A documentary on ganga was aired on national geo provided further insight into the mythological aspect of it. Also one prominent reason was that I hail from Patna which is located at the banks of river Ganga.